Good morning Swagbucks fans! Swagbucks will be having a SwagSports Code Extravaganza on Monday August 6th, right on the long weekend! The codes will be worth up to 65SB, which could really help if the goal day is high. 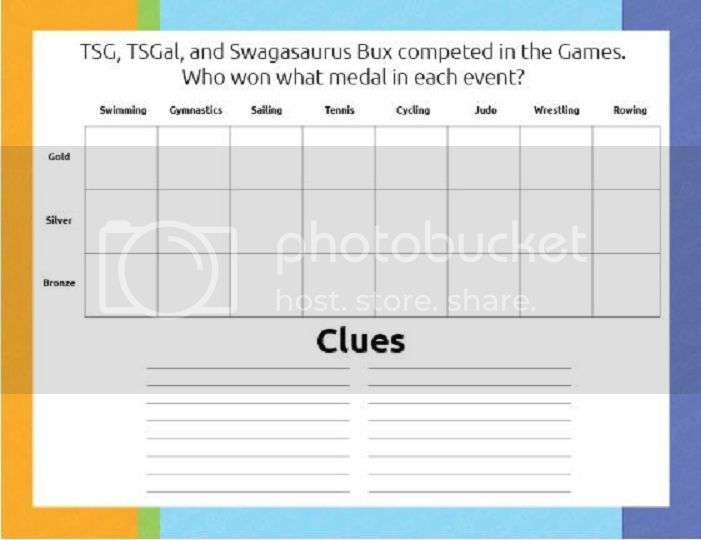 This Extravaganza will be Olympic themed, and there will be code clues released that will require you to use their special "Logic Puzzle". You can refer back to the Logic Puzzle here if you need it, or you can print it. If you could be an Olympic Champion in a single event, what would it be? The SwagBucks Team tried out for some events...you'll have to see for yourself how that turned out!